Hi friends, one good news for idea customers. Idea offering free 1gb 4g internet data for who prebook idea 4g. 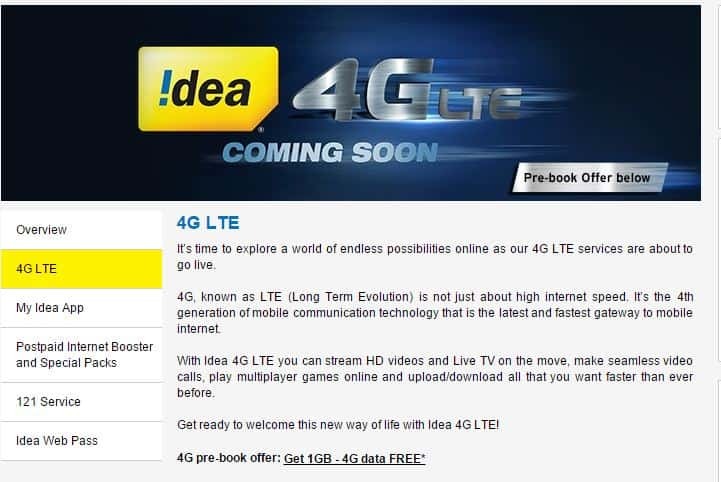 That is Prebook for idea 4g now and get 1gb 4g internet data when they launch 4g network on your city/state. This is an great opportunity for idea internet users. You can enjoy 1gb high-speed 4g lte data for free. So guys, read below article and get 1gb free idea 4g lte data now. 2. Now scroll down and fill the registration page. 4. You are done. You will get 1gb 4g internet data when idea launch 4g lte network on our state. you will get 1gb 4g data coupon for free.